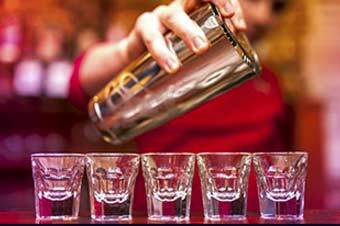 Take the California Alcohol Server Certification training at 360training.com. Our interactive training courses teach everything you need to know to obtain a California liquor license. Our courses are approved by the California Department of Alcoholic Beverage Control (ABC) and train you to get your ABC license. Enroll now for the California Responsible Beverage Seller (RBS) certification course. Unlimited 24/7 toll free phone support. This package provides you with the necessary knowledge and techniques to you need to be a responsible seller of alcohol and food in California. You will learn how to protect yourself and your establishement from liability, how alcohol affects your customers, how to recognize the effects of alcohol on your customers, how to prevent customers from becoming intoxicated, how to intervene when you need to refuse a sale to someone, how to prevent and deal with disturbances, how to accurately check IDs and recognize minors, how to prevent second-party sales and how to refuse a sale.You will also learn basic safe food handling techniques, such as temperature control, safe storage practices, sanitization, prevention from contamination and common foodborne illnesses.